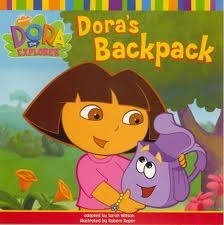 Dora loves her backpack. 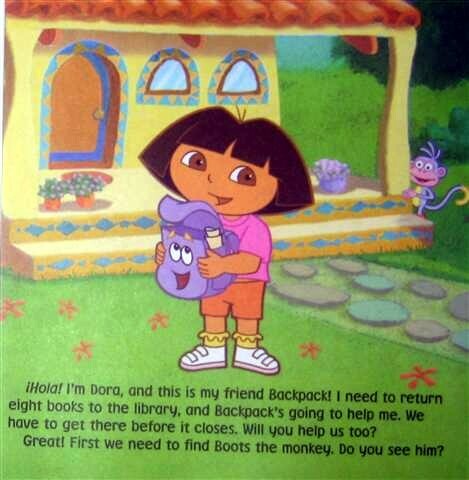 She always has what Dora needs inside. Join Dora and her pals as they try to reach the library before it closes, so Dora can return her books on time. Can Backpack help? Find out in this exciting adventure! I personally liked this book. 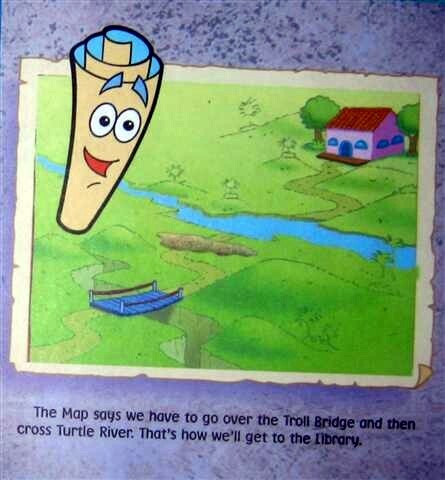 It really lets children interact with the storyline, which is to get Dora safely to the library so she can return her books. 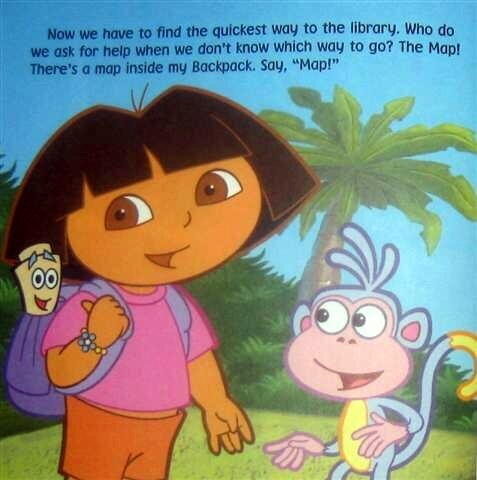 Dora asks the reader for help in finding articles in her backpack that will help her accomplish this goal. Overall, this book was a little too advanced for my soon-to-be three year-old cousin. Be sure to buy this book for a child who's older, because it's not a hardcover book (a little one will rip this easily) and it might be a little difficult for a toddler to interact with the story.